Pick up and save: If you’re looking to rent a bounce house at a great price we have a deal for you! Pick up a qualifying bounce house, combo bounce, slide or inflatable obstacle course and get special “pick up” rental pricing, 24 hrs of fun starting at just $149. Memorial Day and Graduation Party Specials – Game Craze has everything you need for your Memorial Day and Graduation Parties. Check out our amazing packages! Fall Concession Discount – Get 50% off a concession machine when you rent an inflatable during the months of October and November. School Specials – Are you looking to throw a party for your school? Save money this Fall and Winter with our exclusive school deals. Water Packages – Cool off and save with these wet and fun package deals. Multi-item discount program – Rent 2 qualifying* items and save 7%. Rent 3 or more and save 15%. 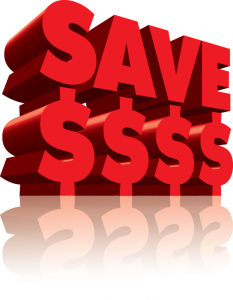 Discounts are automatically calculated when you receive your quote. Volunteer discount– Some items receive a discount if you provide a volunteer to operate. Choose this option during checkout or ask your sales person for details. Multi day rentals and multiple events may qualify for additional discounts, call 330 752-2351 if you are planning to rent for more than 3 days or have more than 3 events to book. Military Discount – As a thank you to those who have served and their families, we offer a military discount program. Charitable Donations – Donation requests can be made by downloading, completing and returning a Donation Request Form. Donations are limited and not typically approved for weekend events during peak months.